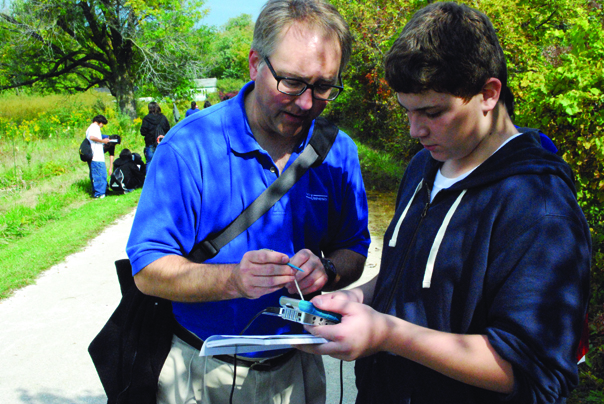 Hans Beck works with a student in the field. Hans Beck teaches undergraduate courses in biology, biological statistics, experimental design and science writing. He also teaches STEM (science, technology, engineering and mathematics) content courses on the graduate level, which focus on how to teach science in middle school and high school. Having taught at AU since 2006, Beck recently took a few moments to share about himself and offer his thoughts on teaching and learning at the university. After many years of scientific expeditions in rainforests, deserts, savannahs and mountains, I found that my experiences and knowledge helped me teach science in an engaging and effective manner. I feel that I have much to offer my students from my 23-year career as a field-based research biologist and ethnobiologist. I am passionate about science, and enjoy working with students on bibliographic research and experiments. By having small classes and labs, I get to work closely with students and share the excitement and intellectual rewards of doing good science. I can think of few experiences more rewarding than sharing the wonder of science through education. My goal is to teach my subjects with passion and commitment, and I hope that my students will tell me they want to learn even more. From my global experiences, I promote understanding, tolerance and respect for cultural diversity. I enjoy learning and imparting the knowledge I have gained to my students. By sharing my love for science and learning, I expect to support the success of all my students. 1. Meet with your professors regularly about coursework. We get to know you best this way. And, remember, once we know you, we can help you with letters of recommendation and research opportunities. 2. Develop a foreign language. I learned German, Portuguese and Spanish, and they have helped me tremendously in life and my professional research. 3. Use the physical and electronic resources on campus, including the library and its databases, the Center for Teaching & Learning, the Crouse Center and counseling services. What advice would you give parents to help support and guide their sons and daughters while they are attending the university? As parents, you are giving your “child” the luxury and freedom of intellectual advancement. 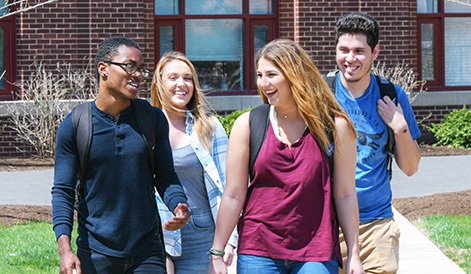 Help your college student by encouraging him or her to attend every single class and to squeeze every dollar’s worth of opportunity for learning from college life.